Unsurprisingly, though, the Museum and Ai did not approve of Caminero’s “protest.” The Museum’s official statement on the matter noted that “we have the highest respect for freedom of expression, but this destructive act is vandalism and disrespectful to another artist and his work.” Similarly, Ai said Caminero’s “argument does not support the act,” and “[i]f he really had a point, he should choose another way, because this will bring him trouble to destroy property that does not belong to him.” While it is true that Caminero’s act falls well outside First Amendment protections, to say that it was mere, nonsensical vandalism denies a strong and respected tradition in civil disobedience: the public destruction of artistic work to achieve a political effect. The Supreme Court recognized in Tinker v. Des Moines Independent Community School District that an act “for the purpose of expressing certain views is the type of symbolic act that is within the Free Speech Clause of the First Amendment.” However, the Court made equally clear in Adderley v. State of Florida that the First Amendment has never allowed people to protest “whenever and however and wherever they please.” Private property owners as well as government entities, when acting as private property owners, have the “power to preserve the property under [their] control for the use to which it is lawfully dedicated.” Caminero’s destruction of another’s property is rightly labeled criminal and he was charged under Florida’s criminal mischief statute. However, to somehow suggest that Caminero’s act cannot and will not carry the full weight of its intended public message simply because of the act’s nature is inaccurate. Art has been destroyed as a means of public protest for centuries. In his unique book The Destruction of Art: Iconoclasm and Vandalism Since the French Revolution, Dario Gamboni discusses a number of instances since the late 18th century wherein a person destroyed a piece of art for political reasons. One instance is particularly illuminating. In 1891, Carey Judson Warbington threw a chair at William-Adolph Bouguereau’s The Spring at a showing because the piece’s supposed adult content offended his religious beliefs. The public’s interest in Warbington’s act was so strong that, before the painting was repaired, it was displayed with the chair Warbington had thrown. The nature of Warbington’s act was no different than Caminero’s. 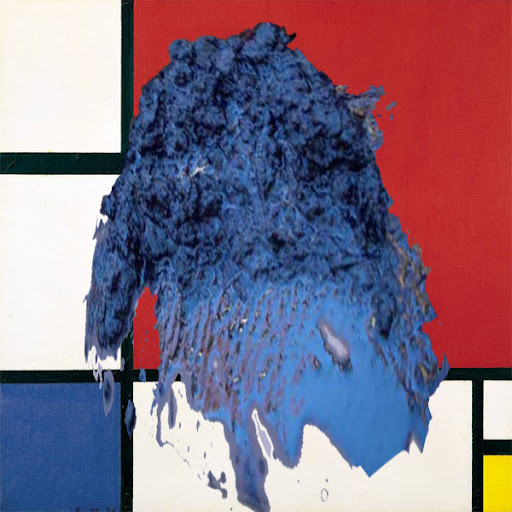 He too destroyed a piece of art, “privately” owned and held, because of his beliefs. It is impossible to say Caminero’s act cannot or will not be viewed as significant in the same way. In fact, it is possible that today Caminero’s act of civil disobedience will be even more significant. In Semiotic Disobedience, Sonia K. Katyal notes a growing dislike of “propertization,” or the act of making something capable of being owned and, therefore, exclusive. She asserts that “many scholars have vociferously decried the growing effect of intellectual propertization on artistic creativity” and that the “very act of exclusion, actually and unwittingly perpetuates prohibited speech as a result.” She concludes by praising today’s generation, which “seeks to alter existing intellectual property by interrupting, appropriating, and then replacing the passage of information from creator to consumer,” even if that act is illegal. Katyal’s piece, when applied to Caminero’s illegal act, suggests that it is not mere vandalism nor is it nonsensical, but is another act in a series of civilly disobedient acts. Though not protected by the First Amendment, this sort of expression certainly has the power to be meaningful beyond an act of simple disrespect or senseless vandalism.